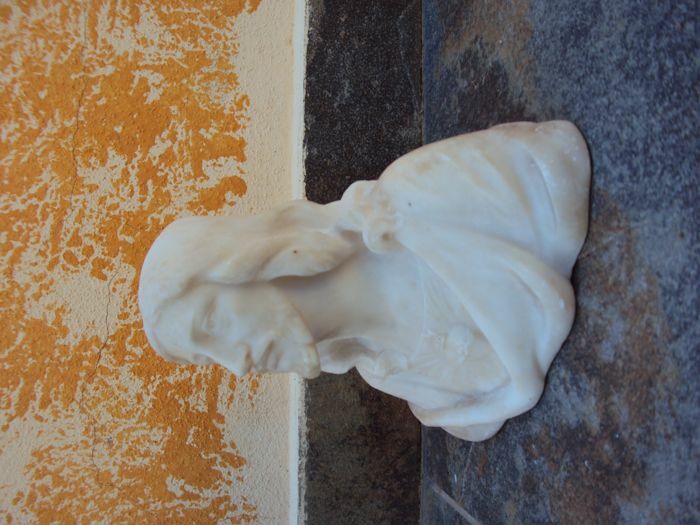 In good condition, no flaws or stains. 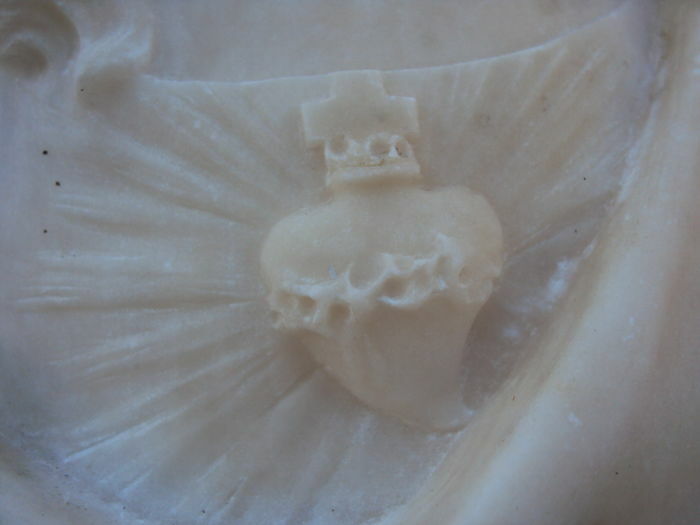 the organ of the human corporeality, which are entitled to adoration, as inseparably combined with the deity and the Savior's love for men, symbolized by his heart. 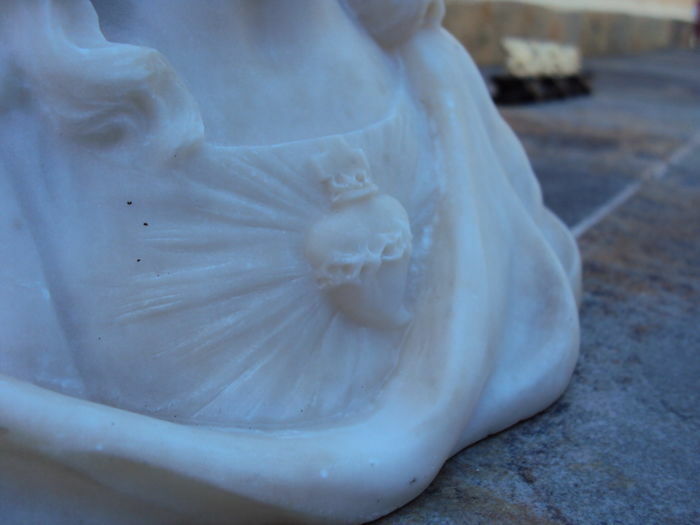 the heart is depicted crowned with thorns, surmounted by the cross and wounded by the spear in eternal memory of the highest act of love: the sacrifice of Jesus Christ for the salvation of mankind; Finally, surrounded by flames in reference to the spirit that Christ feels for sinners. 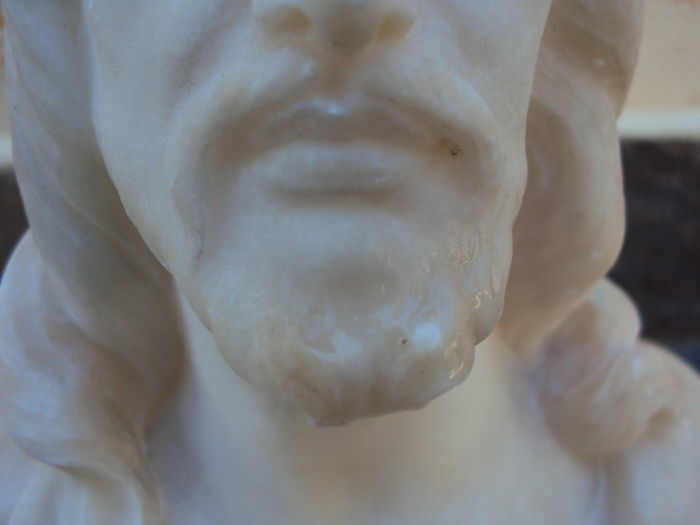 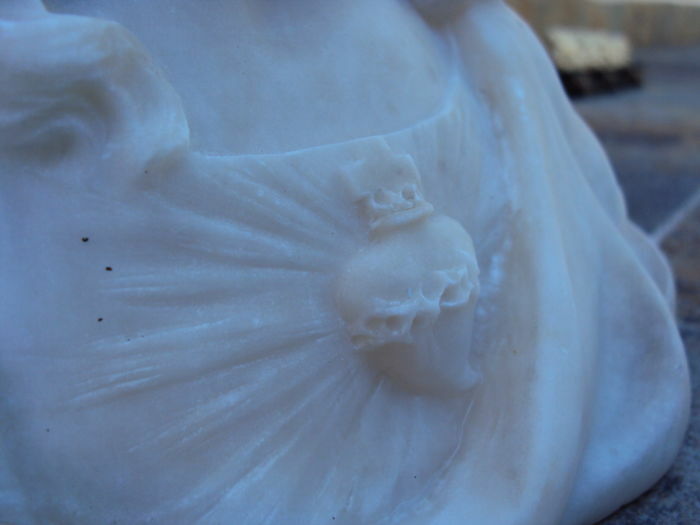 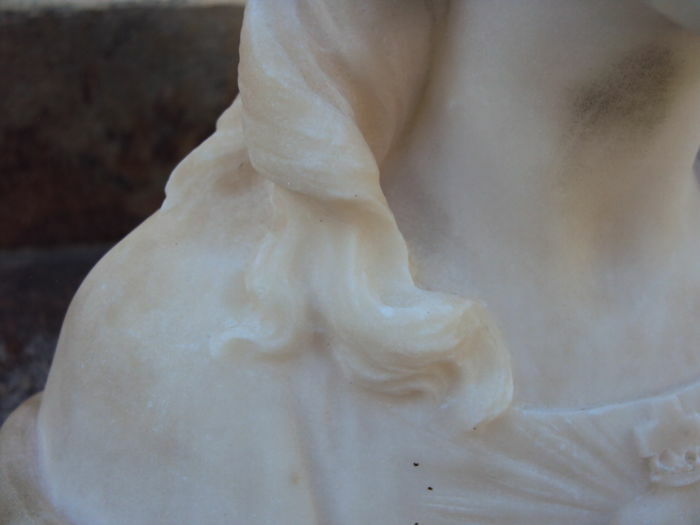 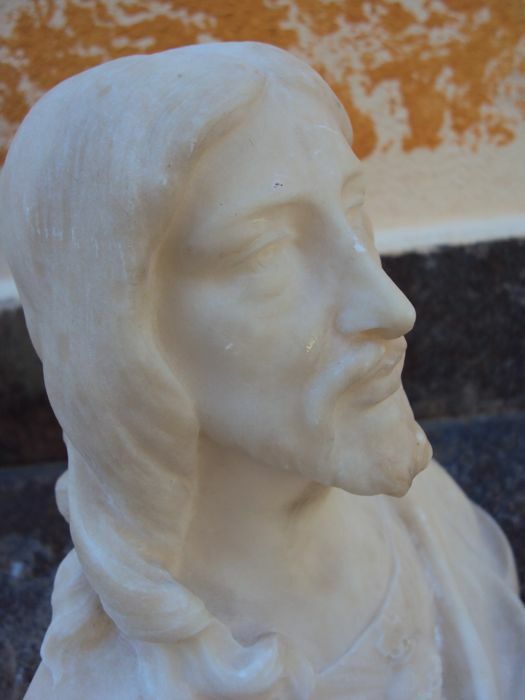 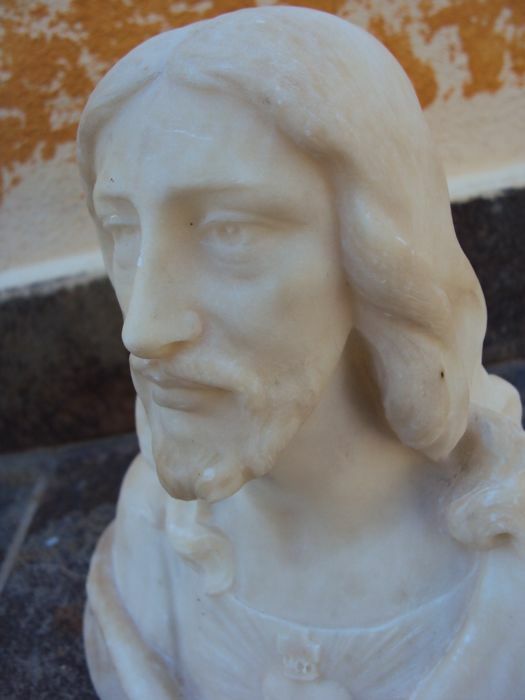 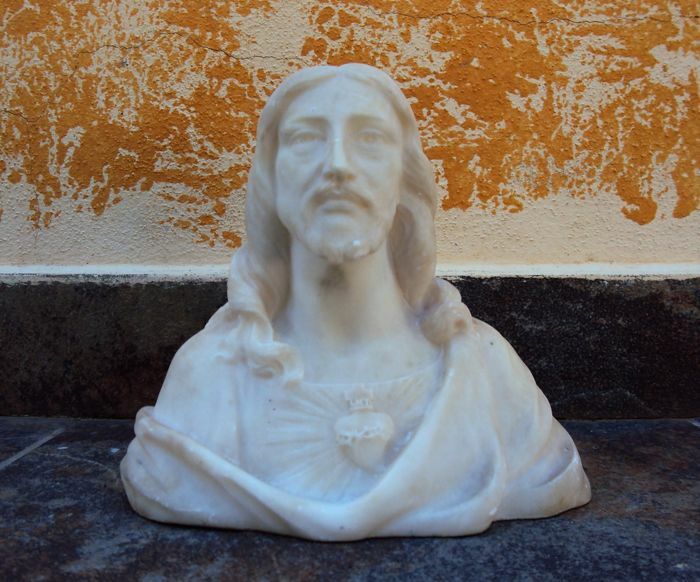 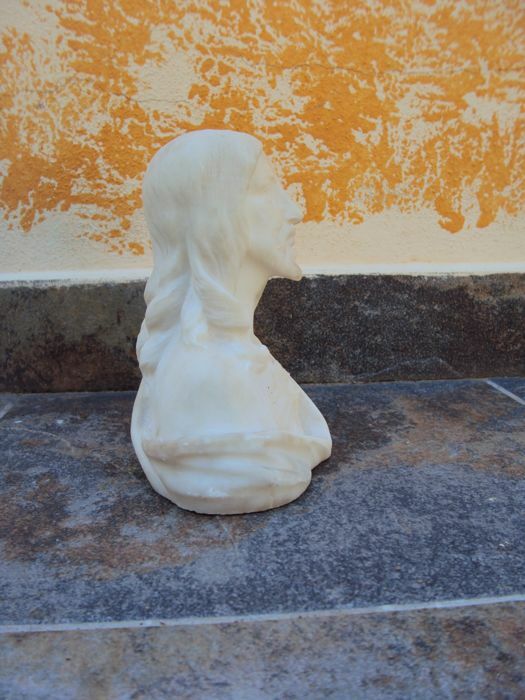 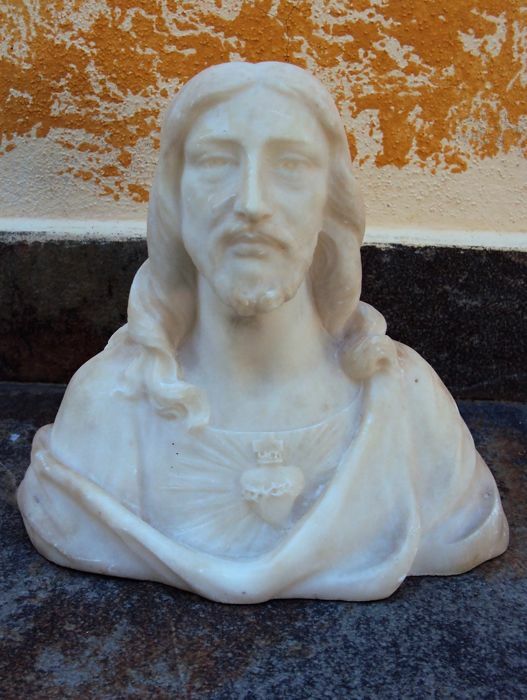 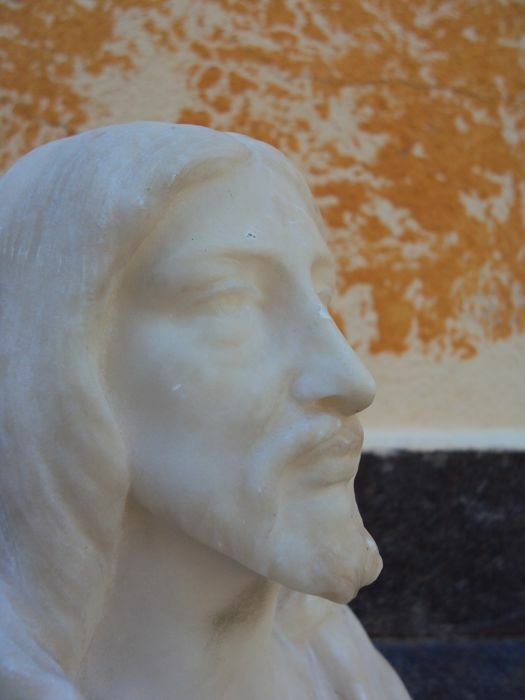 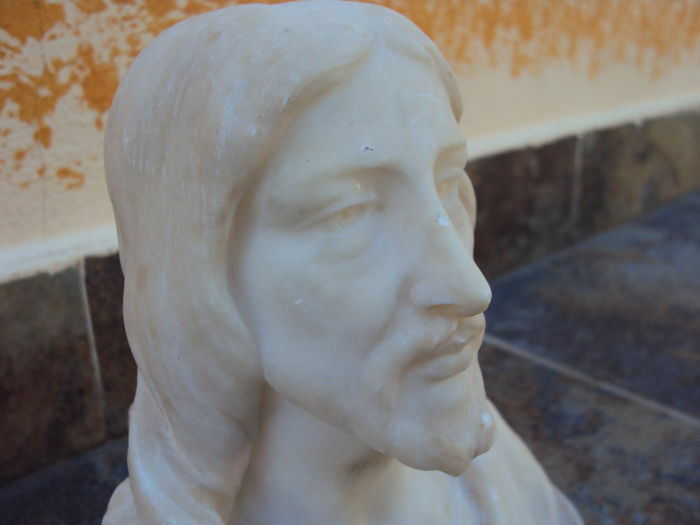 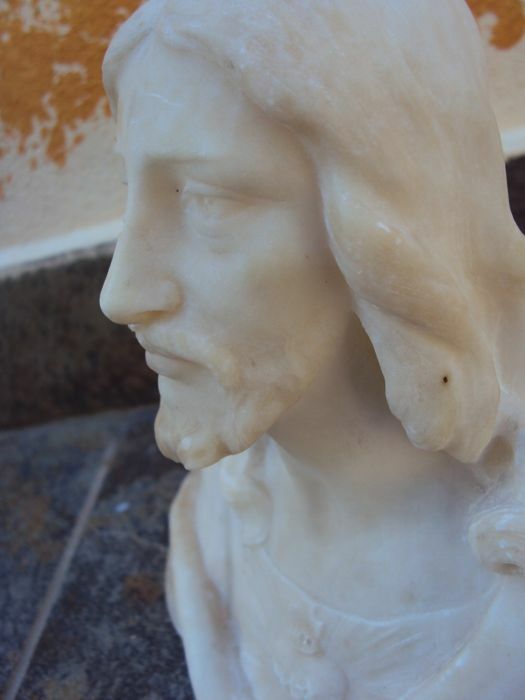 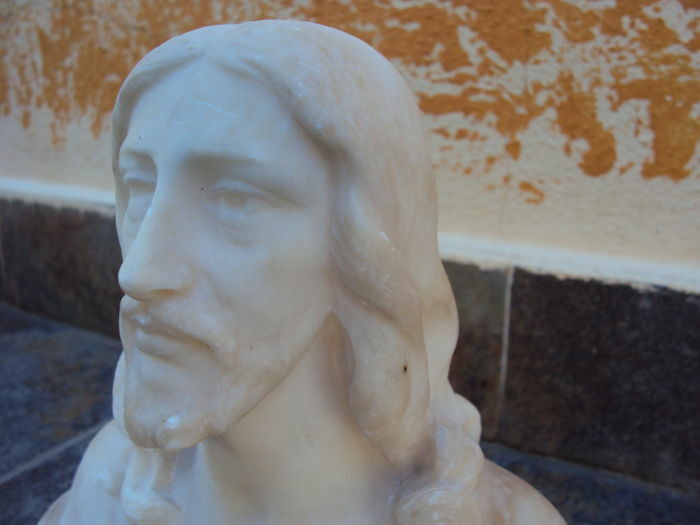 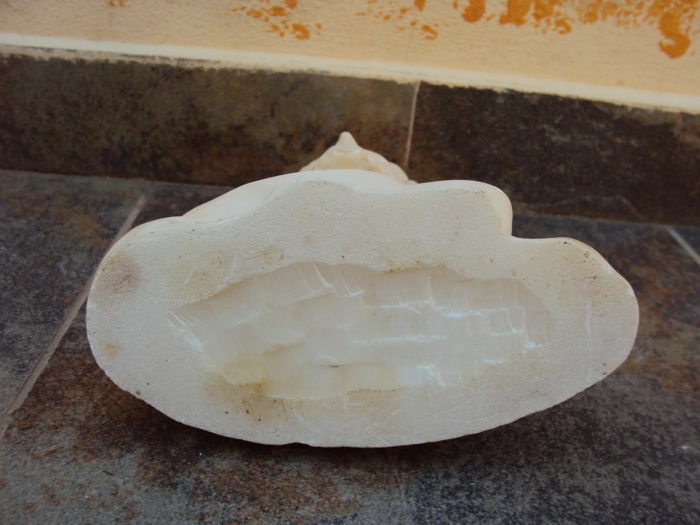 This sculpture is in marble, sculpted by hand, of excellent workmanship, a beautiful example. 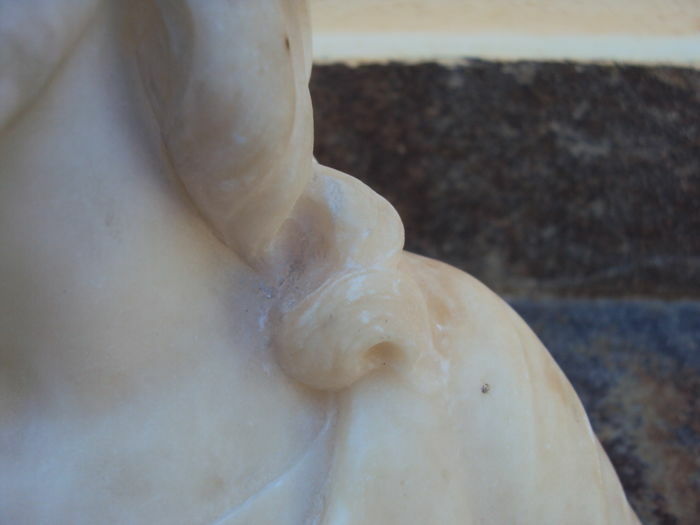 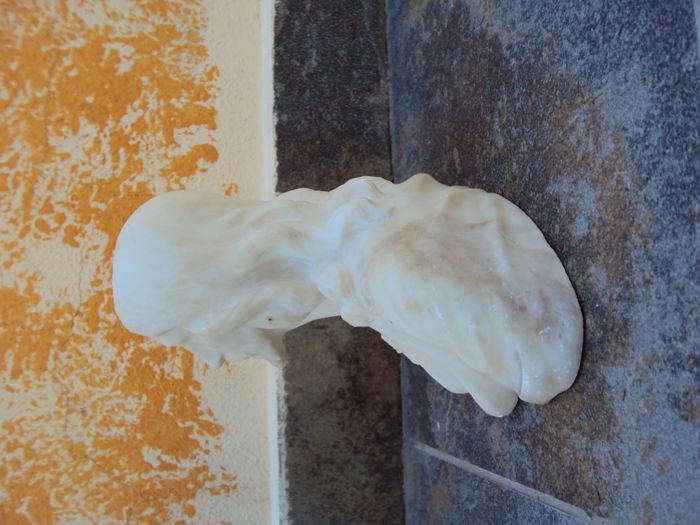 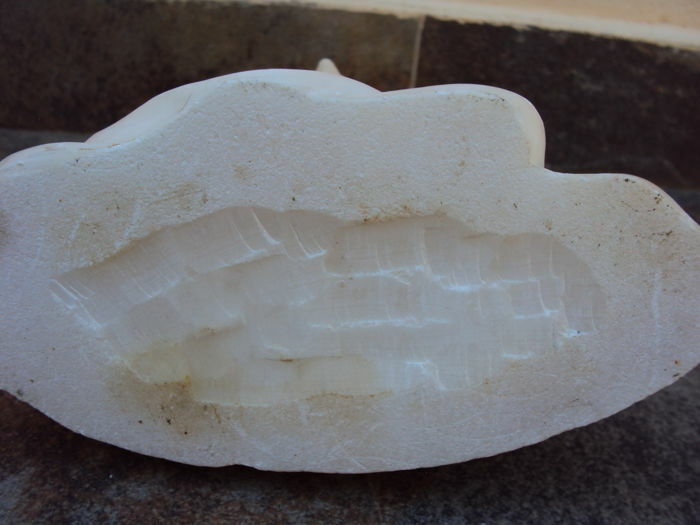 The sculpture is in a good condition, has no gaps or cracks. 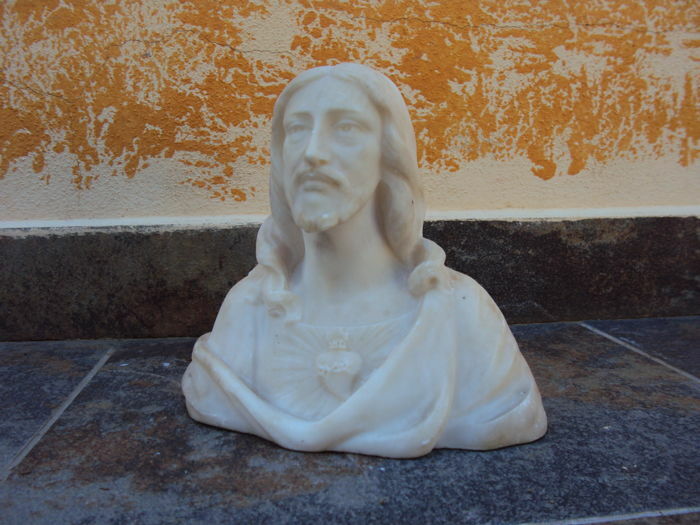 Dimensions: base 18 x 9.5 cm, height 19 cm. 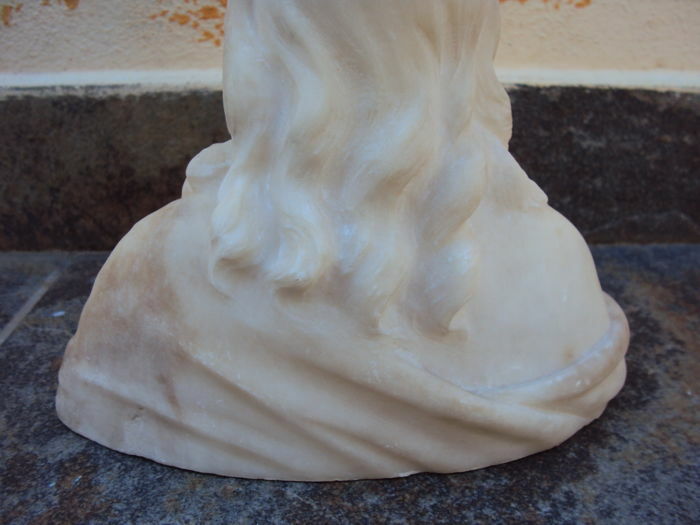 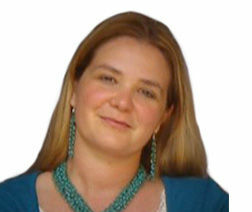 Pictures are an integral part of the item description. 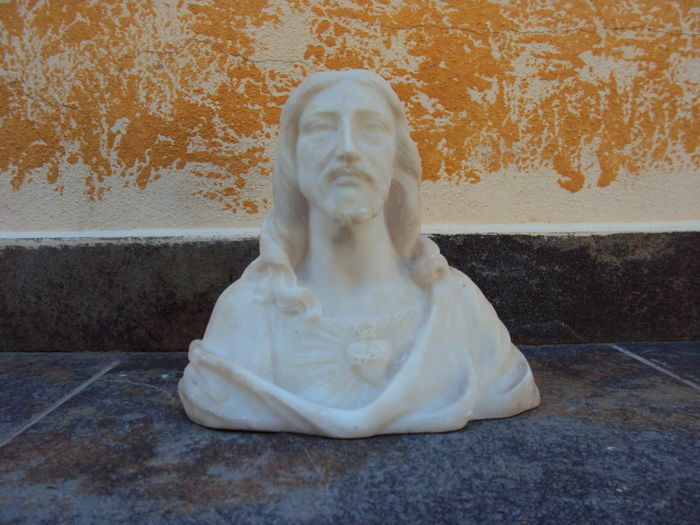 Shipping via express courier. 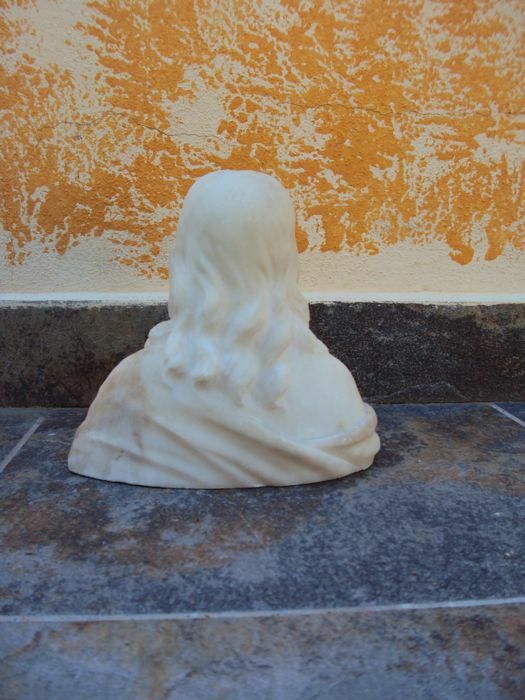 You can pick up this lot from the seller: Sassari (italia/sassari/sardegna), Italy.